My friend, the brilliant, young artist Charles Lutz has got something for you. 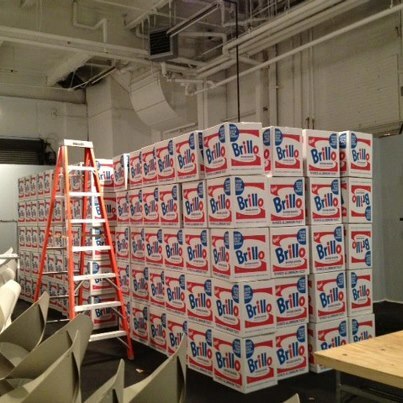 His installation at The Armory Show, which opens tomorrow in New York at Pier 94, is hundreds (1500 to be exact) of stacked, cardboard Brillo boxes from his Warhol denied series. Each day visitors are allowed to take a box, yes, FREE OF CHARGE. 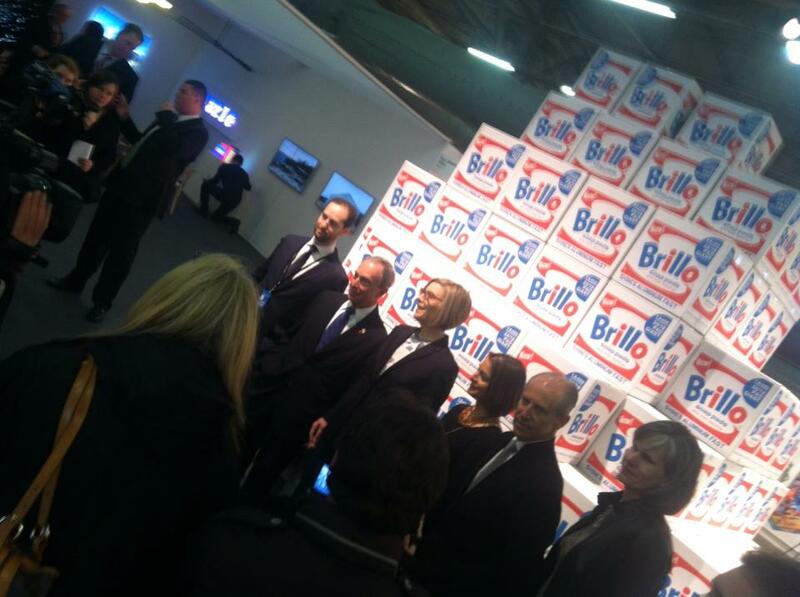 How's that for a rarity in the art world? Something for nothing. 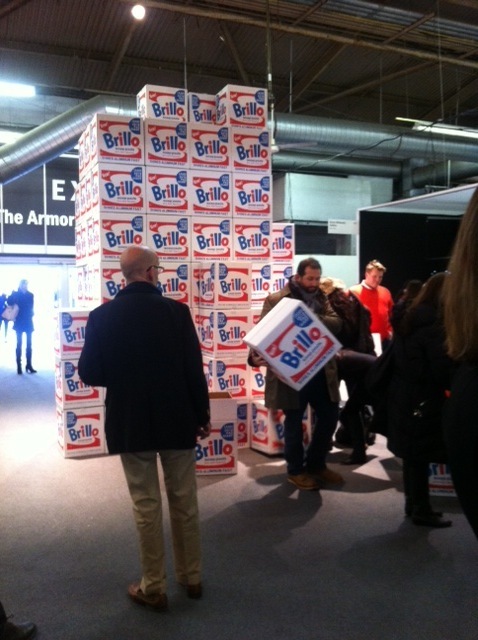 People lining up to take their Brillo boxes... and walking around the fair with them.